This rainy season, warm soup is one thing we all would love to have a feast of (see previous post for supposedly another warm food - Dog Eating in the Philippines). Even plain noodles will actually do. 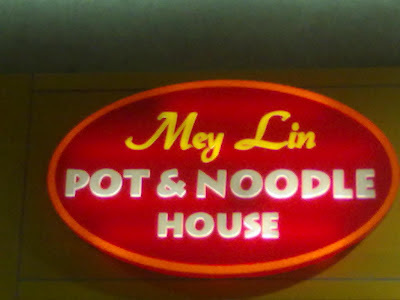 Speaking of noodles, Mey Lin Pot & Noodle House came to mind. I've had a taste of their soup rich noodles with lots of toppings one time. It was beef and seafood we ordered when we visited their SM Mall of Asia branch. We were hungry at that time and were walking along the long lineup of restaurants near SM hypermarket in MOA. Incidentally, we saw Mey Lin and decided to give it a try. We didn’t actually order big bowls and were contented with the snack size. Good call actually because even the snack bowls are served with large containers already. Being a seafood fan, I naturally got the seafood bowl and my partner had himself the beef variety. Both bowls were almost filled to the brim. I love soup and often drink it straight from the bowl like our East Asian neighbor countries do. Most of the time, I’d gulp down soup appetizers and be full already because I have an easy to please appetite. 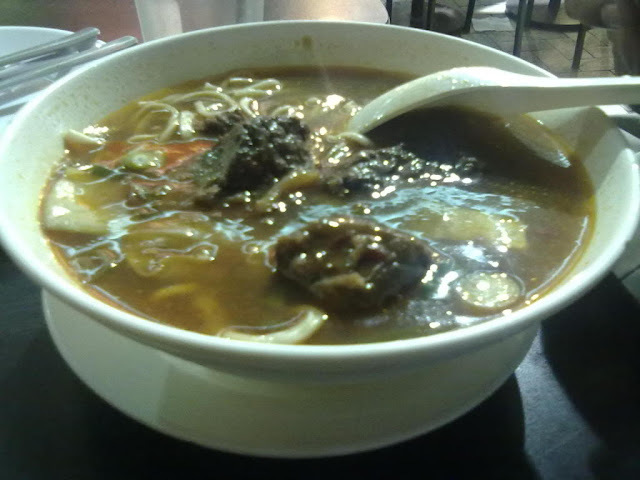 The noodle soup naturally tasted like beef and seafood in flavor; respectively, similar to instant cup noodles. 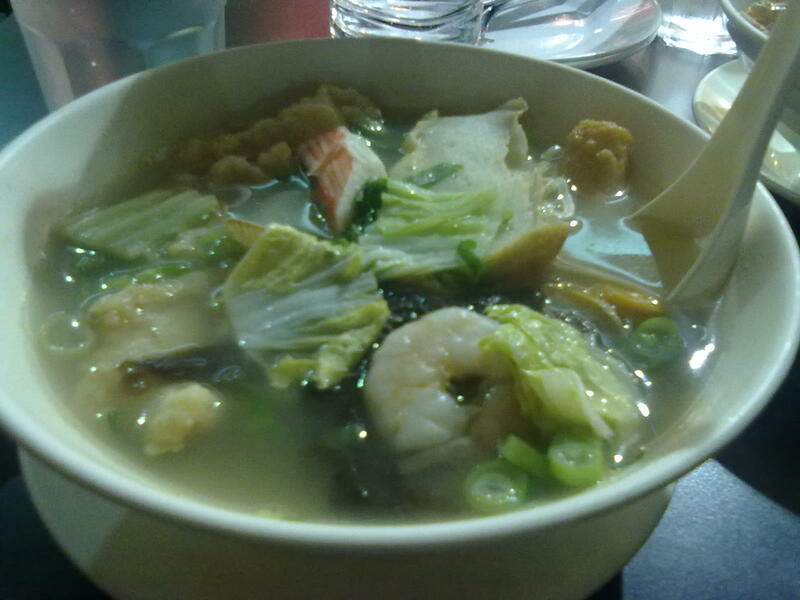 Aside from the actual noodle soup, both bowls were also filled with beef and seafood meat although there were more orlian, squid balls, and fish balls than crab meat, fish, and shrimp in the seafood bowl. It was still sumptuous though. But having a small appetite only, I wasn't even able to finish my bowl. He wasn’t either even if he eats a lot because he’s not a fan of soup and only devoured the meat and noodles. The ambiance was perfect since it was an early evening with the cold breeze already blowing from Manila bay. It won’t be too inviting when it’s raining though. Neither will it be enticing when it’s hot outside. As for the service, the crew were very accommodating when we were already seated although they didn’t really usher us towards the restaurant when we standing in front of their door deciding whether or not to dine in. Overall, I can rate the experience with Mey Lin Pot & Noodle House an 8/10. I like the SM Megamall branch. We used to eat there every week when I was still in college. You may want to try their squid with special sauce and fried intestine!